Colin Farrell — Good Genes or Good Docs?! 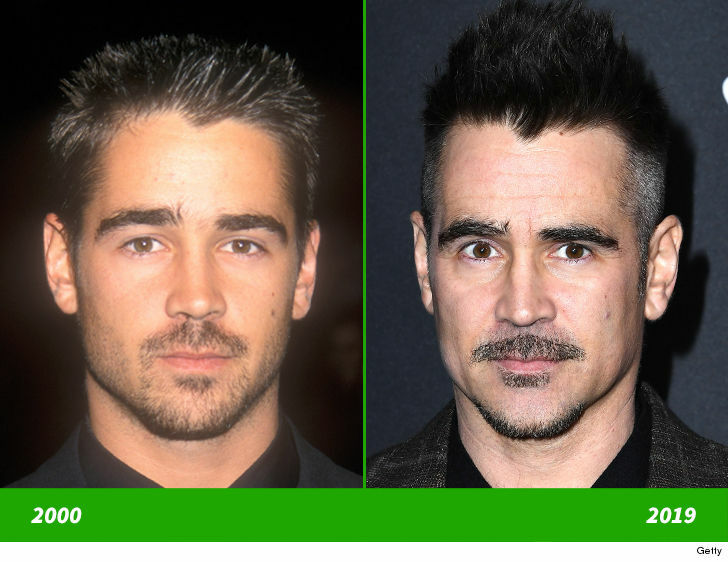 Colin Farrell Good Genes or Good Docs? Colin Farrell‘s beauty will make you green with envy! Here’s a 23-year-old version of the Irish actor at a dinner in West Hollywood back in 2000 (left) and 19 years later … the now 42-year-old “Dumbo” star was seen flaunting his golden good looks at the movie premiere in Los Angeles earlier this week (right).